KUWAIT CITY, June 19, (AFP): Kuwait’s lower court on Monday sentenced an opposition activist to 15 years in prison for insulting the judiciary on Twitter, the third sentence against him since 2014. Sager Al-Hashash was found guilty of discrediting the integrity of judges in a tweet which dates back to April 2015 and posting online remarks critical of Kuwait’s judiciary. The sentence is not final and Hashash can still challenge it before the appeals and supreme courts. In 2015, Hashash was sentenced to 10 years in jail for publishing a diagram on Twitter showing how to make a petrol bomb, at a time when Kuwait was rocked by violent street protests. At the time the court also convicted Hashash, of inciting attacks on policemen and providing training on the manufacture of Molotov cocktail. 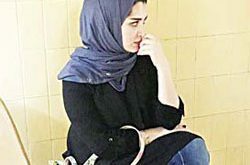 Hashash, who is in his 20s, has not yet started to serve the 2015 sentence which he has challenged, and is awaiting a final ruling from the supreme court. In 2014, he also ran into trouble with the judiciary and was handed a 20-month jail term for allegedly insulting HH the Amir Sheikh Sabah Al- Ahmad Al-Jaber Al-Sabah on Twitter. Kuwaiti courts have handed down prison sentences in recent years to several opposition activists and former lawmakers for remarks deemed insulting to the Amir as well as other charges.